THE TIME FOR TREELEAF SANGHA’S TENTH “JUKAI” HAS ARRIVED! For our upcoming Jukai (Undertaking the Precepts) Ceremony, I will again use Robert Aitken Roshi's, THE MIND OF CLOVER for many of our readings. It is a beautiful examination of the Precepts and Buddhist ethics. As in prior years, I will supplement that with various short readings from other teachers, available online. Even folks not participating in the Jukai will be more than welcome to join in the reading and discussion of the book and other readings. And as Precepts study is vital for all Buddhists, whether or not you are preparing for the Jukai ceremony or already undertook it earlier ... it is good to review it again! So, everyone in the Sangha should really join in this one, I believe. I have heard many whispers and comments from folks these past weeks and months on just what “Jukai” means. So, I thought I would explain my (Jundo’s) personal view of “Jukai” at Treeleaf Sangha. As well, over the weeks of our preparation, I will present many writings and talks by other Buddhist teachers expressing how each views the meaning of “Jukai” and all which accompanies that, for a single truth can be expressed in many ways and seen through many eyes. However, ultimately, the real significance of “Jukai” will be that which each recipient finds for herself, something I am sure will develop and change as we go through the process. For that reason, some folks may wish to join in our preparatory studies and work (such as Precepts Study and Rakusu sewing), but only decide later if they wish the ceremony. Unless we accept the Precepts, we are not yet a disciple of the Buddhas, nor are we an offspring of our Ancestral Masters, because they have considered one’s departing from error and resisting wrong to be synonymous with practicing meditation and inquiring of the Way. The words, “They have made the Precepts foremost” are already what the Treasure House of the Eye of the True Teaching is. So, what is the meaning of “Jukai”? According to the “Buddhist Dictionary”, Jukai literally means “to receive” or “to undertake the Precepts”. It is the ceremony both of one’s formally committing to the Buddhist Sangha and to the Practice of Zen Buddhism, and of one’s undertaking the “Sixteen Mahayana Bodhisattva Precepts” as guidelines for life. Traditionally for Jukai, one receives from a teacher the “Rakusu”, which represents the robe of the Buddha, the “Kechimyaku”, a written lineage chart connecting the recipient to the Buddhas and Ancestors of the past, and a “Dharma Name” selected by the teacher and representing qualities of the recipient’s personality and practice (unless one already has a Dharma Name from a previous Jukai that one wishes to keep). The rationale of all of the Buddhist Precepts, the Mahayana Boddhisattva Precepts …… is as a pointing toward the best ways for us to live in this life, in this real world…. how to live benefiting both ourselves and others as best we can. The Buddhist Precepts are one of the most vital areas of practice for students… In essence, the Precepts are a definition of the life of a Buddha, of how a Buddha functions in the world. They are how enlightened beings live their lives, relate to other human beings and this planet, and make moral and ethical decisions while manifesting wisdom and compassion in everyday life. [T]hough people approach it with different motivations, all participants must realize that in Jukai-e they inherit the life and quintessence of Buddhism as passed down correctly by generation after generation of Ancestors since the days of ancient India. [We] hold the Jukai or lay Zen Buddhist initiation ceremony for those wishing to receive (ju) the precepts (kai or sila) and formally confirm entering the Buddhist path. This is an important and powerful event in the life of a practitioner and in the life of the Sangha. This ceremony, historically known as “entering the stream,” has been performed continually since the time of the Buddha. In the Soto Zen tradition, the ceremony continues to be offered exactly as set down by Master Dogen in his text Kyojukaimon (Instructions on Giving the Precepts) more than 800 years ago. [It] is available to anyone who has been practicing steadily for several months and who wishes to deepen and formalize their commitment to practice and to the Sangha. So the ceremony is at once both a beginning and a confirmation of something that has already occurred. Every year around the beginning of winter we do the ceremony of Jukai in the Sangha. It is the primary initiation ceremony of Zen. … In Jukai you receive the Rakusu, which represents the robe of the Buddha, and your connection to all in the ancient lineage of people who have walked the Way and suffered for wisdom and also gained wisdom. You share in their light and their effort. You take on a Buddhist name, identifying yourself in the tradition in that way. You engage with the precepts of the Bodhisattva. There are sixteen of them. Pretty much they are common sense undertakings. "I take up the way of not killing," "not stealing," "not lying," "not undertaking sexual misconduct," "not misusing drugs." Things like that, simple things. "Not indulging in anger," "not praising myself while abusing others." And as well as that there is taking refuge as part of the precepts. "I take refuge in the Buddha." "I take refuge in the Dharma." "I take refuge in the Sangha." … [It is] to say that I trust that there is a Way and I commit myself to it. [W]hat does Jukai itself mean? That's a question I don't intend to answer, but leave for each individual to decide for themselves. So, as you can see, views on Jukai come in many flavors. First, there is the vow and aspiration to live in accord with the Precepts. All the Precepts come down to our seeking, as we can, to live in a manner harmless to ourself and to others, and healthful and helpful to ourself and others, knowing that ultimately there is no separation between ourself and others. If we are living already in such manner … seeking as we can do be a good father/mother/son/daughter/friend/human being … then (in my view) we have already “undertaken the Precepts”, and the ceremony merely commemorates that fact. However, the ceremony also signifies our vow to continue to do so in the future. Second, the Jukai ceremony stands for our commitment to continue Zen Practice, our commitment to the wider Buddhist Sangha (and, on some level, to a specific Sangha such as Treeleaf), and our linking ourself symbolically to all the Buddhas and Ancestors, and all the other many people, who have walked the Way before us in the past. Again, if one already feels this in one’s heart, then the ceremony merely celebrates that fact, I believe. Thus, the ceremony itself will not “make you into a Buddhist”. If one does not feel that one “is a Buddhist” already, then the ceremony will do nothing but kill some time in your life. On the other hand, if one has developed a feeling within that one has trust in our Way, in the Buddhas and Ancestors and their Teachings, and will continue to seek to make those the foundation of one’s own life … then one is already a “Buddhist” whether one has the ceremony and receives a robe, fancy name or not. So, if that is the case, why bother with the ceremony at all? Again, this is for each person to determine in their own heart. However, personally, I do feel that it is important at certain times to make a formal and open statement of vow and commitment, both for one’s own sake and for the benefit of others in the Sangha and general society who might be encouraged by watching you do so. It is not quite like saying that one is “getting married” versus “just living together” with Buddhism. But it does signify that one is making a public affirmation of one’s commitment. But that being said, I do not wish anyone to think that the ceremony somehow creates two classes of people in a Sangha, namely, those who have taken the Precepts and become “Bona Fide Official Buddhists” and those not. It does not do so, any more than having a piece of paper called a “birth certificate’ makes someone actually born! In fact, one receiving Jukai might be said to be actually placing themselves in a position of service to the Sangha and other human beings, thus if anything, lower than those who have not. Furthermore, I do not think that there is a time “too early” or “too late” to take the Precepts. Some teachers hold off until someone has been practicing Buddhism for several years before allowing Jukai, some a few months, some think it can occur at the start. I will leave that up to each of you to decide what is right for your own life. Jukai is a heartfelt promise that one makes to oneself (and the universe and to other members of the Sangha … each not separate, by the way) that one aspires to study, practice and live in accord with a certain philosophy. One should be willing, always, to repent one’s past harmful actions and to seek a path for the future which avoids harm. Thus, it is appropriate to undertake Jukai whether at the beginning of that aspiration or after many years of already having pursued the aspiration. Because Jukai does represent a vow to seek to remain within the Precepts although our human nature might push us to angry or greedy, harmful actions again and again, such aspirations and vows can and should be renewed at any time, and from time to time. There is no limit to the number of times or places at which one can undertake “Jukai”. I know people in Japan, for example, who have taken Jukai many times at many different temples. I think that I (Jundo) have taken it four or five times. One point that will be mentioned again and again during our study is that the “Precepts” are not viewed as “Commandments” from a higher authority. For that reason, many describe them as aspirations, or guideposts, or arrows pointing to a way of living that is healthful to our life and the lives of others, and which will support one's Buddhist Practice. If, later, you “break” the vow, or change you mind on the aspiration or commitment to the Teachings of Buddhism, or decide that Buddhism, Zen Buddhism, a particular teacher or the like is not suitable for you, no hell fires or bolts of lightning await you (although, as we shall study, some traditional Buddhist teachings have said quite otherwise over the millennia … but you have Jundo’s personal promise that it is not so for our Jukai). Nor is breaking a Precept a “sin” in the Judeo-Christian meaning. However, in my belief, if any “hells” await, they are the “hells” that human beings create within themselves and for those around them by their harmful acts … the very forms of “harm” that the Precepts are intended to guide us from. Some folks may avoid undertaking Jukai for fear that they will be unable to abide perfectly by all the Precepts. Well, our Buddhist Practice recognizes our human nature, and even anticipates our weaknesses. It is very hard, if not impossible, to keep all the Prefects perfectly. But acknowledging that we are imperfect and that we will inevitably make mistakes is a vitally important part of our Practice. We Practice with our human failings and fallings down. If one’s intention to keep the Precepts as best one can is sincere, then the vow is sincere even if we all stumble and fall short more than we might like. Although taking Jukai at Treeleaf with me (Jundo) is a serious commitment to this particular place and teacher, and a symbol of your wishing to take our Treeleaf Sangha as your primary (or at least one of your primary) Practice places, we Zen folks are very non-possessive in that regard (at least, most of us are not these days. I know other Zen Sangha that insist on more exclusivity from those taking Jukai there, but such is not my policy for Treeleaf). One can learn from countless teachers, and at myriad places over time. For that reason, in my view, Jukai can be taken several times with different teachers, and is also perfectly portable. As one travels from practice place to practice place, your “Jukai” goes with you! However, I would ask that people not take Jukai at Treeleaf is they do not feel any special affinity to this place, me (Jundo) as a teacher and my guidance of this Sangha, for I hope that recipients would consider Jukai, on some level, a serious commitment to our Treeleaf Sangha even if it is a commitment that never prevents one from learning from many teachers. (Basically, if a student in her heart feels that she wishes to devote herself to a particular teacher exclusively, then it is so. And if a student wishes to devote herself to several teachers, then it is so). I hope my meaning here is clear. So, of what will our Jukai consist? We will have a class study covering, one by one, the meaning of each of the Precepts, as well as the meaning of “Jukai” and of the ceremony itself, and other related matters. As I said, I strongly encourage all members of Treeleaf to participate without regard to whether they will be taking Jukai this time or have taken it before. The structure of the class will be similar to our “Book Club”, and I hope to stimulate an active conversation ongoing among all the participants. I will take an active role in leading the conversation, and will be providing a variety of readings for discussion (including Aitken Roshi’s book, “The Mind of Clover”, which we will read most of). Obviously, that will take quite a few weeks. Our dear Taigu is an expert in matters of the Kesa and Rakusu, and we are grateful that he presented us with a series of video talks on the history, philosophy and method of creating a Rakusu (which is an abbreviated form of the Buddhist Kesa). Shingen will be available to provide guidance on sewing along the way. Other members of the Sangha who are or have already sewn a Rakusu will also tips. Our Preparations for Jukai will conclude with a netcast 2-day retreat tentatively scheduled for December 9th and 10th for Jukai recipients, then be brought home with the ceremony in early January (exact date to be determined). As with all our activities and retreats, the ceremony will be conducted fully online. Jukai recipients will participate from home, and will be expected to complete the retreat. However, those with work or family responsibilities will be able to sit the retreat even after our ceremony (with the "any time" recorded version) if personal circumstances do not permit otherwise. We held such retreats in prior years ... and they went well. That will be the culmination of our special 90 Day Ango Training Period during this time ... details of that in an accompanying post. The date for the ceremony will be in January, at the end of our Precepts study and Rakusu sewing. As last year, I am very flexible, and am even open to accommodate people in different time zones or with scheduling issues (or working out some other special arrangement if folks have other obstacles). We will hold what is the world’s only (as far as I am aware) “All Online Jukai Ceremony”, using our resources in the “Always Open Zendo” of Google+. As with all our online activities here at Treeleaf, our Jukai will be held with the same seriousness and same procedures (with small changes due to logistics) as a Jukai conducted by Zen Sangha anywhere in the world. It is important to all of us who will participate that our "online Jukai" be as profound and comprehensive as any Jukai held by any Zen Buddhist group, and I am determined to do as much, or more, than can be accomplished by other Zen groups that happen to meet under one roof. I want what we accomplish here to serve as a model for other Buddhist Sangha in the future who may wish to attempt such things (I truly think we are pioneers, and other Sangha need to learn how to do this). I am sure that I have forgotten to mention many other points about “Jukai”, but I know that these will all be raised during our many weeks of study and preparation. Please feel free to post in this thread too any comments or questions you may have, and I will do my best to address them. Finally, I might say that when any one of us undertakes “Jukai”, the whole universe undertakes “Jukai” in that very moment. For each of us, all of us, the Precepts and the whole of Reality are not two. Last edited by Jundo; 09-05-2017 at 12:13 AM. Ango, 安居 ... literally “peaceful dwelling and abiding” ... is a period of concentrated and committed Zen practice, usually lasting three-months in the Soto Zen tradition. The roots of Ango arise from the earliest days of the Buddhist monastic community in India, when monks and nuns would cease their wandering and settle together in one place for the rainy season. Even today in Zen monasteries of Japan, Ango is a time of intense and rigorous training, typically including long hours of Zazen, short hours for sleep, formal meals taken in the Zendo (meditation hall), and a structured schedule for the rest of the day comprising periods for work, liturgy, study, rest, and personal needs. In the West, most Zen groups have adapted the form of the three-month practice period to the needs and demands of life in their communities. In keeping with the philosophy and path of practice here at Treeleaf ("all of life is our temple"), we will seek to obtain many of the same ... (and, I believe, quite a few additional and very special) ... fruits and lessons of a traditional Ango while sitting within the "monastery" of our day-to-day lives, jobs, problems, unending distractions and family responsibilities. In doing so, I believe, we will have the opportunity to taste the sweetness (and sometime bitterness ... no one without the other) of concentrated Zen practice ... and learn lessons ... in many ways more poignant, practical, immediate and powerful than what might be known to monks locked away in a sheltered mountain monastery. As always, we will be tasting the power of this practice in the world, in daily life ... and not hidden away from it all. Zen Sangha around the world have experimented in recent years with various forms of Ango for people who cannot (or do not wish to) isolate themselves from the world for weeks on end, often commuting to practice and with limited time. We will build our Ango learning from their precedents and experiences. As well, this year will build upon the experience gained in our our Treeleaf Ango's of previous years. Now, I believe that "intensity" of practice can best be attained ... not by increasing the raw quantity, bodily discomfort or physical isolation of practice ... but primarily and powerfully by bringing new sincerity, commitment, vigor and seriousness into what we may already do (non-do). As each person's life situation, family and work responsibilities vary, I will be happy to consult with folks to adjust and design a practice schedule and content to fit those circumstances. However, the most important point to keep in mind is that those work duties at the office, daily problems and family responsibilities ARE THE PRACTICE PLACE as much as the Zafu (sitting cushion). The home kitchen is the temple kitchen, the office, store or factory is the garden when we practice Samu (work practice), etc. Each presents countless opportunities for practice, and for manifesting Wisdom and Compassion. One can be flexible in designing one's schedule, and flexible in meeting the changing demands of each day ... but commitment to "stick with this" is required. One might change the order of things, even push certain practices back a few days ... but one must also not let things slide, and must somehow promptly find the time to accomplish all that one has committed to do. There is flexibility and moderation ... but not laxity. The purpose is not to overwhelm or "burn us out"; it is to mutually work together through a period of dedicated practice. 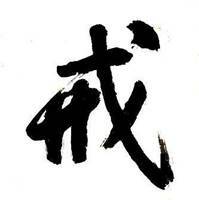 We will do our best each and every day, and let Zazen soak into our life. But key to that is consistency, not giving up, finding the time and not quitting. Now, this "All-Online Treeleaf Ango" (as so many things about Treeleaf) is an experiment ... so many of the following elements may be adjusted as we go along. However, I believe that Ango participants should commit to all or most of the following. In all cases, the emphasis will be on increasing ... not raw quantity ... but the sincerity, commitment, vigor and seriousness of what we undertake. With that perspective in mind, really the following suggestions [IN BOLDFACE] for the Ango are not "optional", and are asked of everyone absent some true extenuating circumstances which render them a total and complete impossibility! The other activities, not marked in BOLDFACE, are merely "strongly suggested". All in all, I do not believe that the above demands will unreasonably add to the amount of time people are already dedicating to their Jukai and Rakusu sewing work, or to their existing practices. I believe, if examined closely, the time is manageable. Again, I am flexible to work out a schedule for those with special needs ... commitment and consistency being the most important. We may also adjust or substitute some projects in the coming weeks, so the following list is subject to small changes. + Join in each and every 90 minute Saturday Treeleaf Zazenkai, and 4-hour monthly Treeleaf Zazenkai netcast without fail. However, as always, each will be available in recorded form (so may be joined at a time to fit your schedule). We also have other netcast sittings at various times during the week, led by our Sangha Priests and Members, and you are free to join the sittings. + Participate, hopefully with your family members, in our LEND A HAND service program during the Ango period, engaging each day in some small or large good deed or 'hands on' charitable activity making your community, the lives of others, this world a bit better (http://www.treeleaf.org/forums/showt...Lend-A-Hand%29). + In addition to LEND A HAND, commit a portion of your weekly income during the period to extra charitable donations (assuming you have the financial ability). We do encourage people to make financial donations to charities that help folks, e.g., feeding the poor, helping refugees, finding a cure for a disease. Both donations and volunteer work should be a bit beyond the point where it starts to hurt. Following the foregoing, we also accept, but do not solicit or require, voluntary donations here at Treeleaf should anyone wish. + Add, if you can, Metta Verse Practice (http://www.treeleaf.org/forums/showt...Metta-PRACTICE) and Nurturing Seeds Practice (http://www.treeleaf.org/forums/showt...Seeds-PRACTICE) to your routine each day. + Listen, as possible, to each 'Sit-a-Long' Talk (to be presented by Jundo and several of our Trainee Priests) during the practice period, also all available in recorded form to meet your schedule. A special series of talks will be presented during the Ango and Jukai period. + Join in our weekly Practice Partner Exercises, a series of short assignments to be led by our novice-priests at Treeleaf, and to be undertaken in pairs with another Ango participant (details later). + Join frequently in online discussions in our Jukai/Ango Forum of the content and Ango experiences, sharing the ups and downs and middles. + If technically possible, commit to meet with Jundo by Skype video at least once during the Ango. + If simultaneously studying for Jukai, complete and participate in each of the readings and discussions each week regarding the individual Precepts, as well as complete Rakusu sewing. + Commit to give up one or two items or passions one truly loves during the Practice period, for example, sweets after meals, luxurious meals, cigarettes, television, consumer purchases of luxury items. + Commit to mindful eating, and silently or orally recite one short meal chant before all meals (here is one I suggest). and is medicine for nourishment of our Practice. + And just a pleasant suggestion: We are asking folks to consider to make more use of our Always Free Hangout Sitting Room, and Insight Timer Group[/SIZE] to connect with others. More details on how to do that in the coming days. The way to go about registering for this Ango is to post your commitment here in this Forum. In the traditional manner, once your commitment is received, your name is entered on a list of Ango participants which, at the start of the Ango period, is inscribed on a 'paper scroll' and posted at Treeleaf Zendo in Japan. I hope you will join us in this endeavor to manifest Great Non-Doing. How wonderful it will be if you join the Treeleaf community in this commitment to intensive practice for a time, together finding our self where we find ourself! Let me mention that some of our Novice-Priests, to be announced, will be serving as our "Shuso" (首座 - Head Seats) for this Ango, a traditional role whereby they are managing and taking charge of the entire Ango and Jukai, will be guiding people, are here to answer any particular questions and concerns you may have and encourage folks. Last edited by Jundo; 09-07-2017 at 11:14 PM.